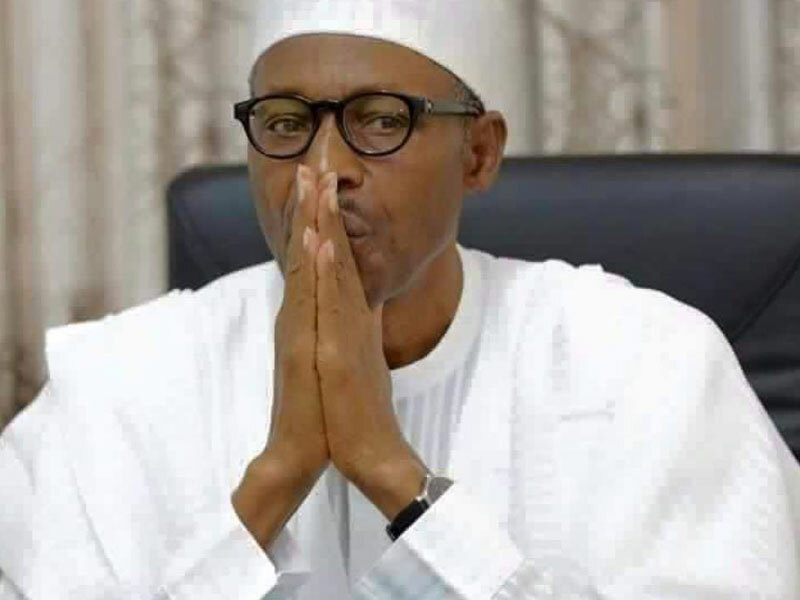 When I look at happenings in Nigeria, I ask myself: Does President Muhammadu Buhari sleep peacefully? Is he happy to be the President of Nigeria at a time like this? We have never had a smooth ride as a nation. At every period in our history we have always been battling with one problem or the other. But there is something peculiar with the situation now. Excluding the Civil War, nothing has been as destructive and bloody as the Boko Haram insurgency. It is estimated that about 20,000 have been killed since the sect began its campaign of extremism in 2010. But in spite of that, the economy of Nigeria was virtually unscathed because Boko Haram’s activities were concentrated majorly in the North-East, although on a number of occasions they succeeded in attacking parts of the Federal Capital City, Abuja. Therefore, they did not disrupt the oil-producing capacity of the nation in the South-South, the operations of the big businesses in Lagos, and the running of government in Abuja. Even though there is a remarkable reduction in the activities of Boko Haram due to the military campaign against them, there are still occasional bomb attacks in the North-East. During the tenures of Chief Olusegun Obasanjo and Alhaji Umaru Musa Yar’Adua, there were disruptive activities by the Niger Delta militants, O’odua People’s Congress, and Movement for the Actualisation of the Sovereign State of Biafra, but somehow the economy was still looking upwards. The international oil price was low – especially during Obasanjo’s tenure – sometimes even lower than $20 per barrel. However, the return of democracy in 1999 brought back the middle class because the economy came alive. Once more, individuals began to buy brand-new cars and other products after being forced into buying second-hand goods by the economic crunch that started in the mid 1980s. Construction of houses began to boom again. However, the situation seems scary from many angles at the moment. Last week the National Bureau of Statistics announced that the Gross Domestic Product of Nigeria contracted by 0.36 per cent in the first quarter, with every indication that Nigeria was headed for recession. One could remember that in 2008 when financial meltdown hit most Western economies, the Nigerian economy was not affected. The NBS figures on employment also showed that within the first quarter of 2016 period, the number of unemployed people in the labour force rose by about 1.5 million. Similarly, recently NBS announced that inflation had shot up to 13.7 percent, after hitting the double digit of 11.4 percent in February: the first in many years. Last week too, the Minister of State for Petroleum Resources, Dr Ibe Kachikwu, said that oil production had dropped from 2.2 million barrels a day to 1.4 million barrels due to pipeline vandalism. With last week’s announcement of another militant group called Red Egbesu Water Lions, there are fears that this figure may further go down. Similarly, the exchange rate of the dollar against the naira has been shooting up on the parallel market. Even though the government has pegged the official rate of the dollar to between N197 and N199, it is virtually impossible to get at that rate while doing any international transaction. Consequently figures from the market are scary too. A bag of rice sells for as high as N18,000 as against N8,000 last year, while a basket of tomatoes that sold for N5,000 in January now sells for as high as N35,000. Petrol that was selling for N86.50 per litre also went up to N145 per litre two weeks ago following the government announcement of removal of subsidy from petrol. The same has happened to all goods and services. Sadly the income of individuals has not risen. What has made this situation gloomy is that currently the nation is facing both economic difficulties and ethnic insurgencies. The return of insurgency in the Niger Delta has made a bad situation worse, given that the bulk of the crude oil that sustains the national economy comes from there. Even though the federal government has warned that it would crush the militants, it is obvious that like many people, including the British Foreign Minister, Mr Philip Hammond, have advised, the use of force would cause more harm than good. Buhari’s presidency inherited some of these situations, but there are some that he instigated overtly or covertly. Buhari was the first Nigerian president that came into office without the opposition screaming blue murder. Even though many members of the Peoples Democratic Party were not happy that they lost power, the conciliatory stance of the erstwhile president, Dr Goodluck Jonathan, prevented them from causing any problems for Buhari as he was inaugurated on May 29, 2015. Even the commonest tool that parties use, which is challenging the election in court, was discouraged by Jonathan. Everybody adopted a wait-and-see stance. Buhari’s inauguration speech which emphasised that he belonged to nobody but to everybody gave hope that he was coming in as an impartial judge to right the wrongs of the past years. With Nigeria surviving a divisive election, the new president was expected to reach out to all parts of the federation and unite them under his leadership. But when he began making his appointments, it became obvious that his actions were different from his words. In spite of the complaints from even some groups and individuals from the North that Buhari’s appointments were skewed too heavily in favour of the North, he kept on with the trend as if the feelings of others did not matter. His comments about those who gave him 97 percent votes and those who gave him 5 percent votes did not portray him as one who wanted to unite the nation behind his leadership. The fight against corruption by Buhari has also been seen as selective. Despite the number of petitions written against some associates and members of Buhari’s government, they have neither been arrested nor prosecuted. Despite that Buhari said he did not have enough money to buy his party’s nomination form before the election, he ran a presidential campaign that matched that of Jonathan naira for naira. Nobody knows where his campaign organisation got the huge funds used for that campaign. But while Buhari is probing the PDP and arresting its members for the money spent on their campaign, Buhari has been mum on the source of his campaign funds despite the petitions and complaints on that. One year into his government, the wait-and-see period seems to have elapsed. Even though the action of bursting of pipelines is pure sabotage that should not be tolerated by any government, using force against the groups may achieve little. Buhari has lost much time to unite Nigerians, but he can still turn things around and stem this tide of discontent. Top on the list of the demands of the Niger Delta Avengers is the implementation of the 2014 National Conference report. The more Buhari runs away from this clamour for a national conference, the more it will trail him wherever he goes like a shadow. There is no better time to start implementing that conference report. But if he does not want to implement that report, let him start his own national conference. Those who say he needs to stabilise the nation first before a national conference are putting the cart before the horse. The national conference is what will stabilise the nation. Talking will not destabilise Nigeria; it is not talking that will destabilise Nigeria. Secondly, Buhari is mishandling the Nigerian economy. It is either he does not listen to expert advice or he does not have economic experts. The excuse that the economy is doing badly because of the activities of the past years can only be believed by those who love fairy tales or fanatical supporters. Nigeria is not lacking in pragmatic economic experts. The President should seek their help and stop the economic descent. He should stop believing that his own economic ideas can transform Nigeria. Whether he admits it or not, with the myriad of problems facing the nation, the President needs help as well as our prayers, because whatever happens to the nation under his leadership affects our welfare, security, peace and happiness.